This one is causing a bit of controversy at the moment, especially since the anchored putting ban came into effect in 2016. I personally would have to see it in person to see if it's being anchored. From what I have seen on TV with the likes of Bernhard Langer and Scott McCarron still using this grip, it's close. That's all I'm going to say for now! I don't know why they would still take a risk with this grip because it only takes one positive confirmation that it was anchored and they would lose everything. I don't think it's a smart move, so I personally wouldn't recommend it in 2018. In the image above, I have moved the putter well away from my body. The likes of Langer and McCarron have it tucked much closer in to the chest and that is the main reason for the discussion. RELATED: LANGER ON ANCHOR CRITICS... "IT'S HUMAN TO BE JEALOUS"
To form this grip, however, place your left hand at the lowest point on the putting grip so that the inside of the left forearm is held tight against the shaft and point your index finger down the shaft. 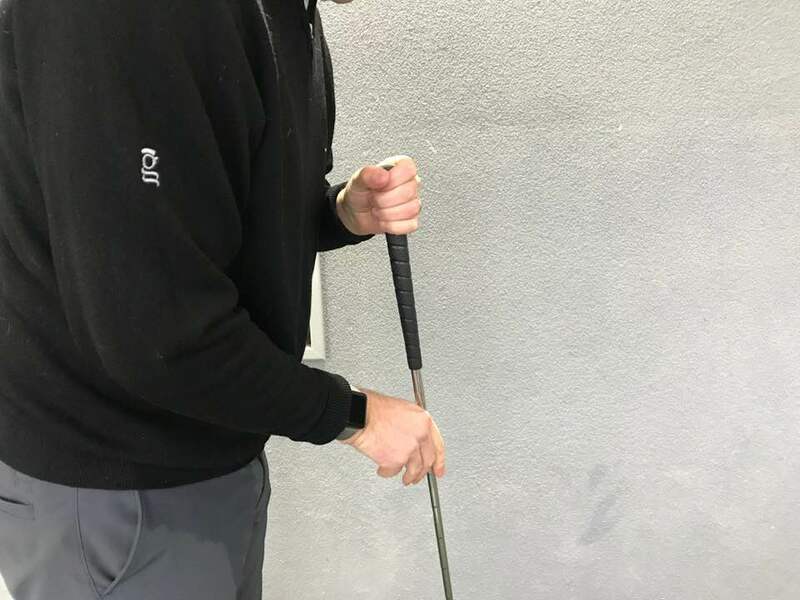 Now add your right hand at the top of the grip so that the fingers touch the back of your left arm and your thumb rests just above the wrist joint of the left arm. This grip takes the hands out of the stroke allowing you to rely entirely on the more controllable motion of the shoulders.